1.3 Inch AMOLED high-resolution display, makes the displayed content more vivid and beautiful. 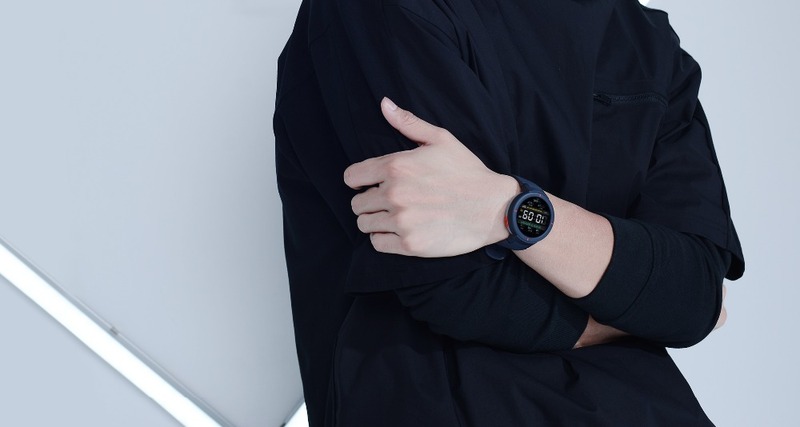 Bigger screen, fit the width of the wrist, bring a pleasant feeling of wearing. The big screen displays a comprehensive and rich information, raise the wrist, efficiency is obvious. 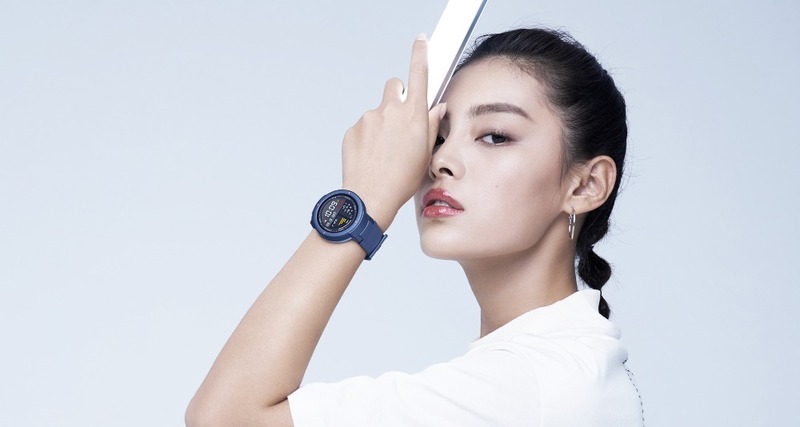 This smart watch can be connected to a variety of smart home devices in the Xiaomi eco-chain, including sweeping robots, air conditioners, rice cookers, electric fans and more. Just click on the Mi Home App or Xiaoai classmates to achieve remote control. 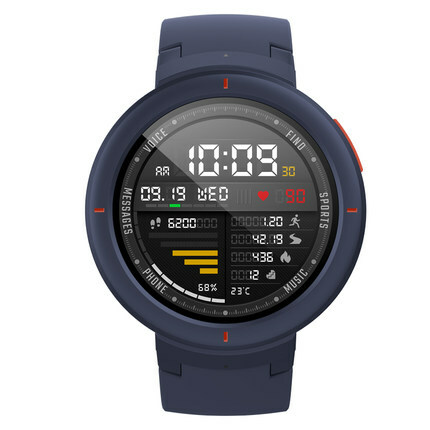 The AMAZFIT Verge 3 smartwatch has built-in11 sports modes, including running, indoor running, trail running, walking, elliptical, mountain climbing, tennis, skiing, football, outdoor riding, indoor riding. 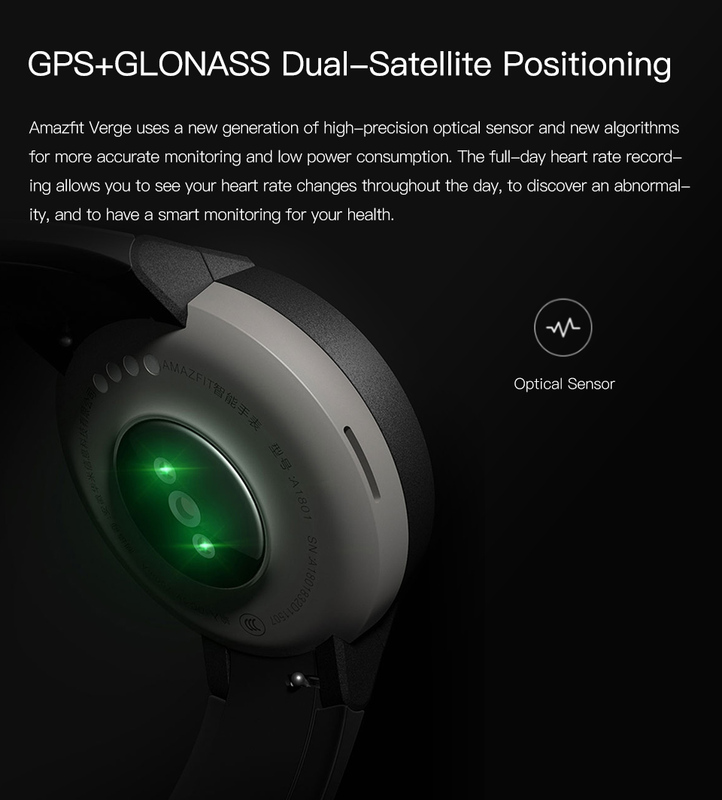 At the same time, the GPS+GLONASS binary positioning system has been added to accurately record your movement trajectory and tell you the calories burned. 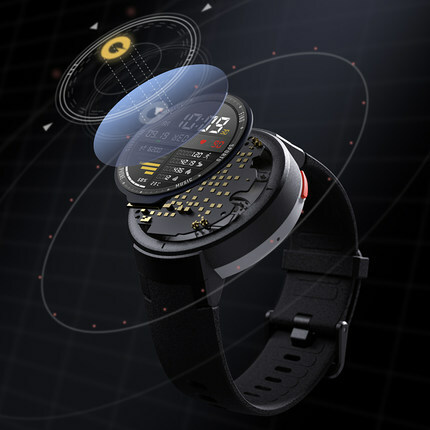 The AMAZFIT Verge 3 smart watch uses a new generation of high-precision optical sensors and algorithms for more accurate monitoring and lower power consumption. The all-day heart rate recording function allows you to see your heart rate changes throughout the day, discover abnormalities in time. 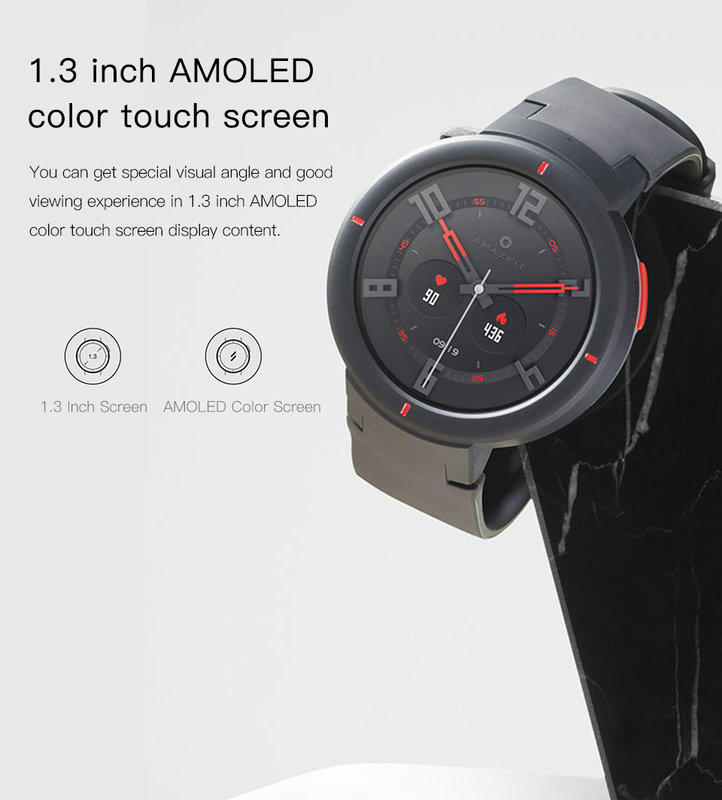 It’s not easy to increase the length of life on a smart watch with a rich feature set and AMOLED colorful display. 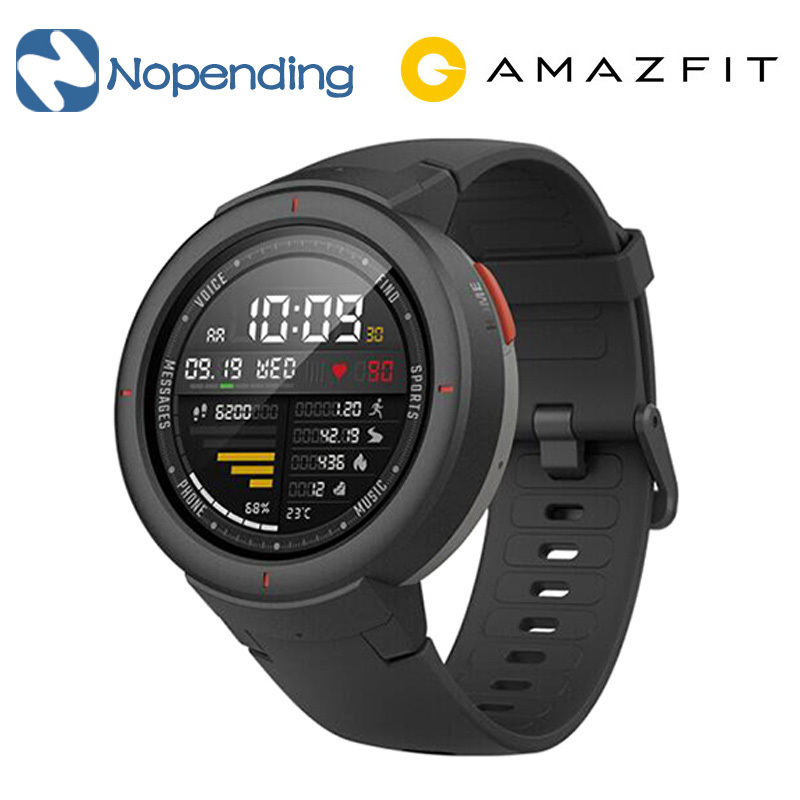 But AMAZFIT 3 smart watch with ensures about 5 days ultra-long standby time for a full charging. 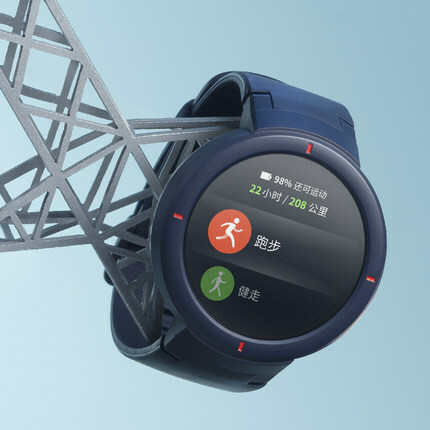 Huami AMAZFIT Verge 3 smartwatche also has the function of answering and making calls, Alipay offline payment, reading WeChat and SMS message, pedometer, sleep monitoring. 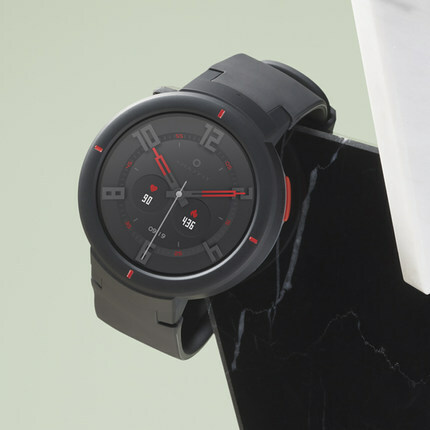 Amazfit Verge comes with a 1.3” AMOLED screen that can show clear images and lifelike clock pointers. The changing dial plate will also bring you more fun. 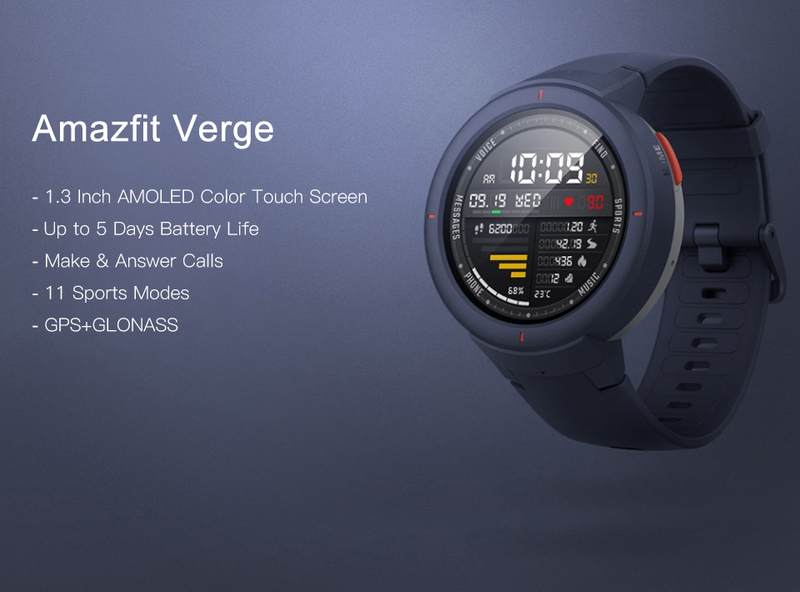 Amazfit Verge Has What a Mobile Phone Has! It’s no need for you to worry about missing a call. Amazfit Verge can handle this. 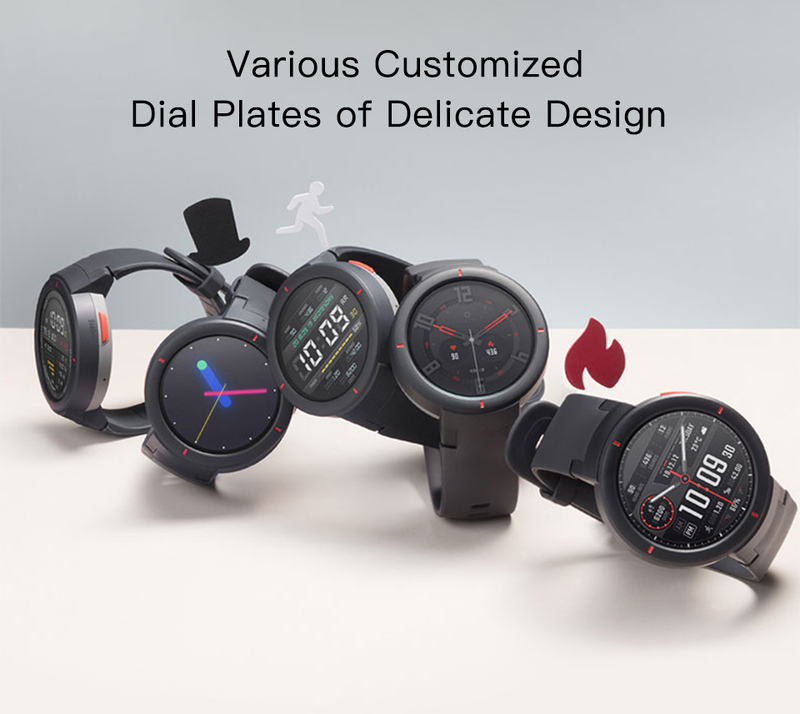 When there is a call incoming, the watch will vibrate and ring, and then you can answer the call via the watch without pulling out your mobile phone. 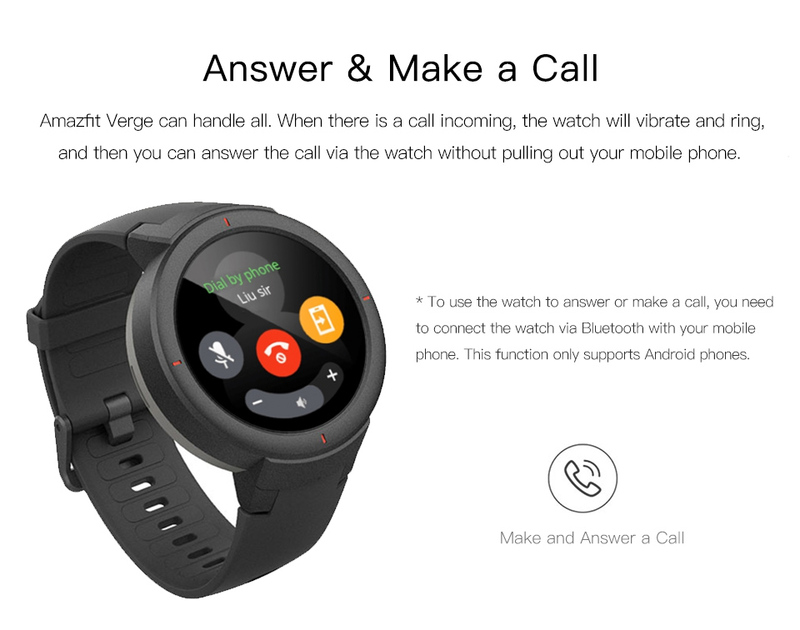 * To use the watch to answer or make a call, you need to connect the watch via Bluetooth with your mobile phone. This function only supports Android phones. What will you do if your Whatsapp keeps popping up messages at a meeting? You want to check up, but feel inappropriate to do that. 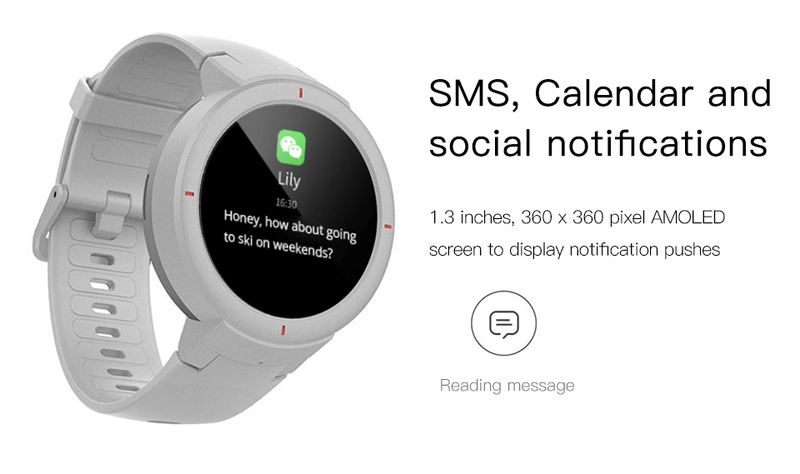 In this case, you just need to lift your wrist to read the messages on the 1.3” screen without bothering to pull out the mobile phone. By doing so, your good manners can be properly demonstrated too. also a Smart Monitoring for Sports and Health. Amazfit Verge features multiple functions in life, especially in its smart monitoring for sports and health. 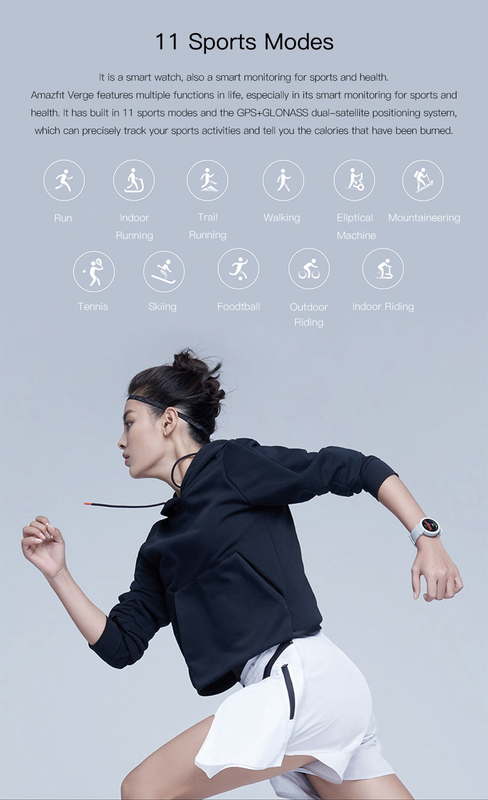 It has built in 11 sports modes and the GPS+GLONASS dual-satellite positioning system, which can precisely track your sports activities and tell you the calories that have been burned. 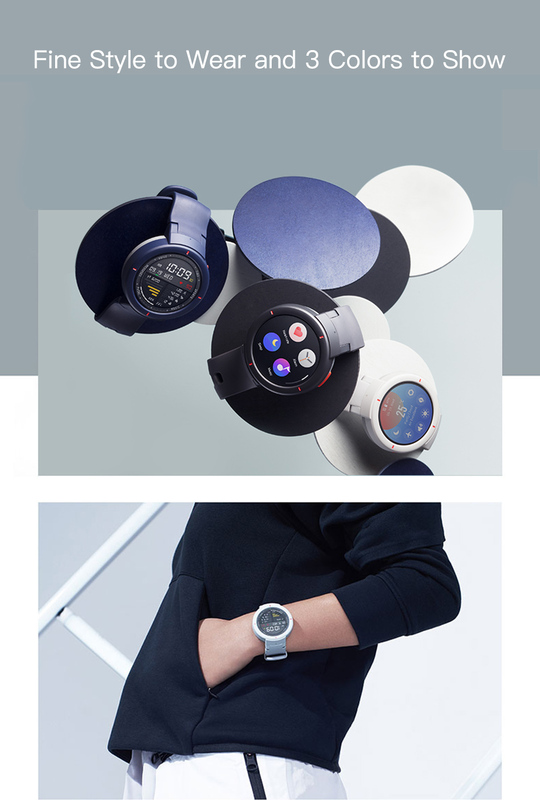 Amazfit Verge uses a new generation of high-precision optical sensor and new algorithms for more accurate monitoring and low power consumption. The full-day heart rate recording allows you to see your heart rate changes throughout the day, to discover an abnormality, and to have a smart monitoring for your health. 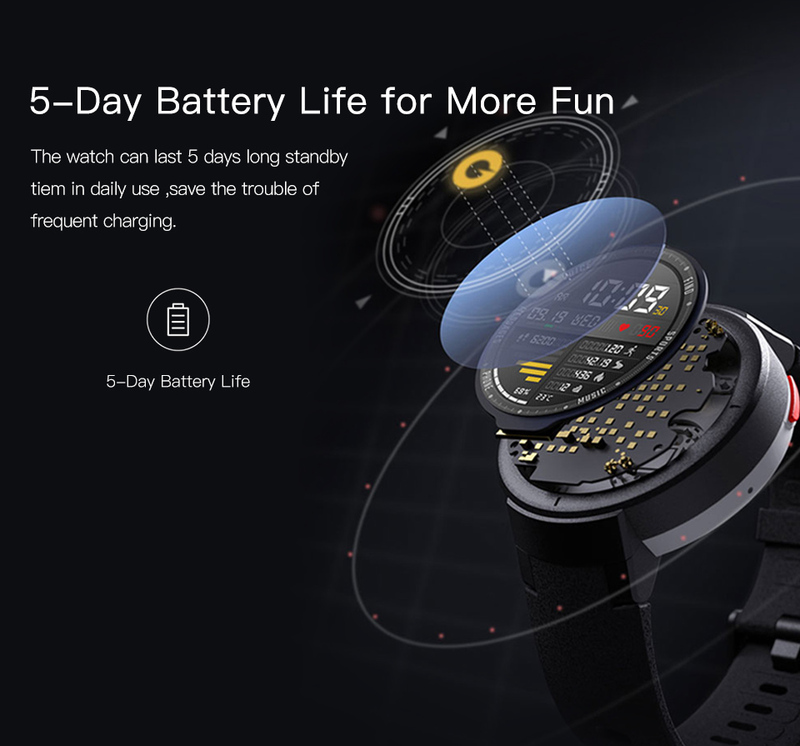 It is not easy to increase the battery life of a smart watch equipped with multiple functions and AMOLED screen. However, the battery life has always been a striking highlight of Amazfit. The Amazfit Verge continues its fine feature of a long battery life. After a 10-month of painstaking efforts in optimizing its power efficiency, our research and development team managed to increase its battery life up to 5 days. Hence, you don’t have to remind yourself of charging your watch before going to bed, and the fun brought by smart technologies can last longer. Test conditions: Use default settings, Bluetooth connection to a mobile phone; Receive 150 incoming messages, 30 times wrist display and 5 minutes for other operations; Run every other day for 30 minutes each time. In actual uses, the battery life will be influenced by various factors including settings, operations and environment, and thus may differ from the laboratory data. With the innovative Cleaning wristband manufacturing craft, the watch has 3 colors to choose. 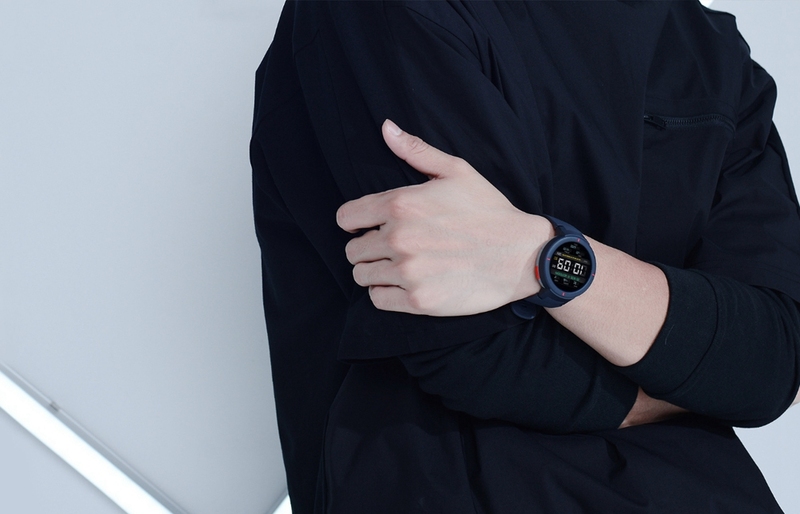 With a 1.3” optimal-size screen, this watch can better fit on everyone’s wrist. With the innovative Cleaning wristband manufacturing craft, it becomes more comfortable to wear. * Our designers have done their best to its size to make it ”a smart watch for all” as much as possible. At the same time, its 3 optional colors can satisfy your various and customized needs on different occasions, allowing people to identify your tastes without being too flashy.